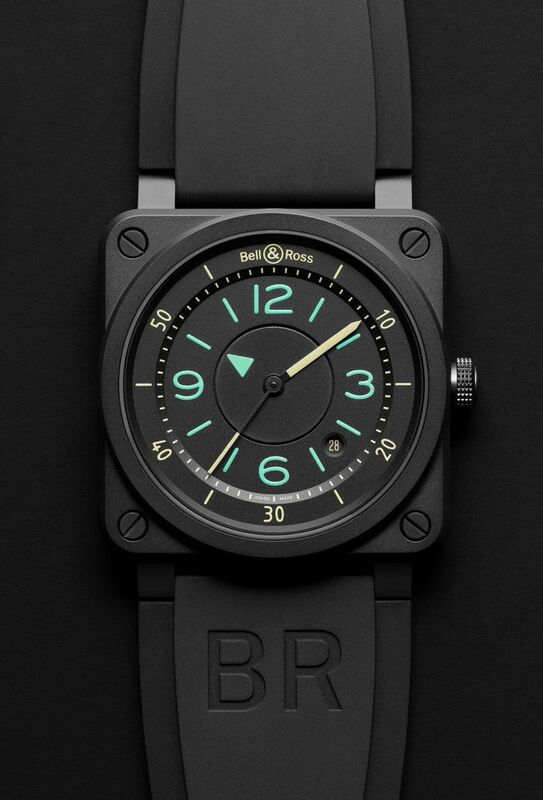 Bell & Ross introduces a new version inspired by analog instrumentation of aircraft cockpits, where each instrument is a reference point in terms of precision, legibility, reliability and performance: the BR03-92 Bi-Compass. 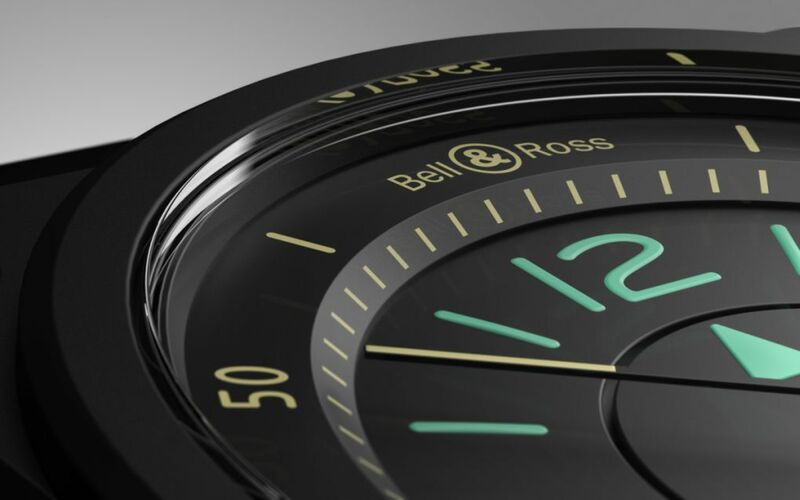 With this watch, Bell & Ross recreates the graphic style of navigation tools as closely as possible, offering an alternative to the traditional approach of telling the time. The case, in black matte ceramic, measures 42mm. It has an AR-coated sapphire crystal and it is water resistant to 100 meters. 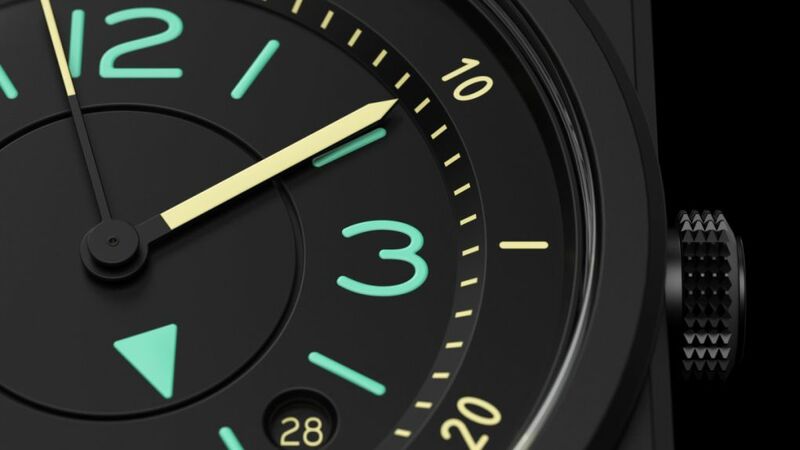 The matte black dial has hands, numerals and indices coated in SuperLuminova. Built on a two-tier basis, the dial divides its main center part with the outer part where the minute track is featured - through a small "step" equipped with a minute-circle. To enhance legibility, the hour and minute graduations have been separated to promote the minutes on the main dial as in original instruments while the hours are displayed in the center. The hour reading is indicated by a green triangle marker which appears in the center through an independent concentric disc which is not graduated. 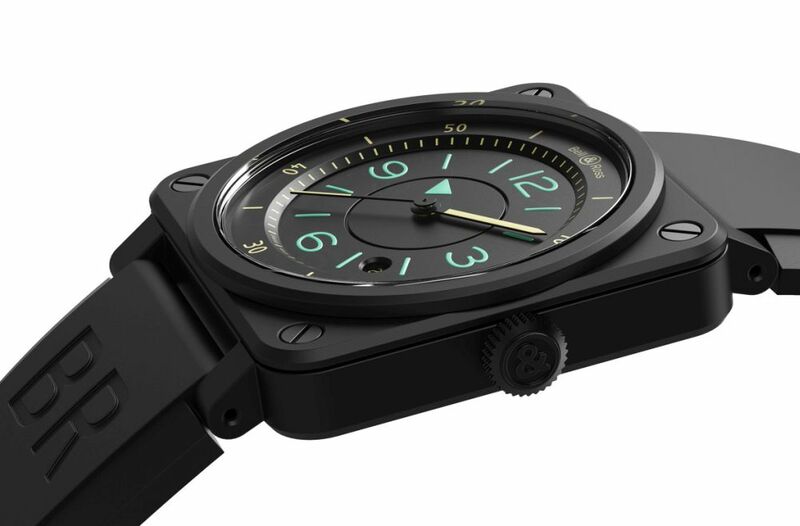 An ultra-light disc needed to be created to ensure that the power reserve nor the accuracy of the watch was not reduced. 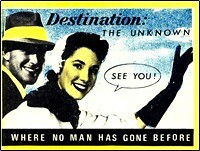 Furthermore, the disc needs to be sufficiently resistant so as to not become deformed or risk any friction. As it rotates, an adjustment to the nearest micron ensures that the disc is constantly parallel. The typography used for the numerals is identical to that on analog aviation counters (Isonorm). 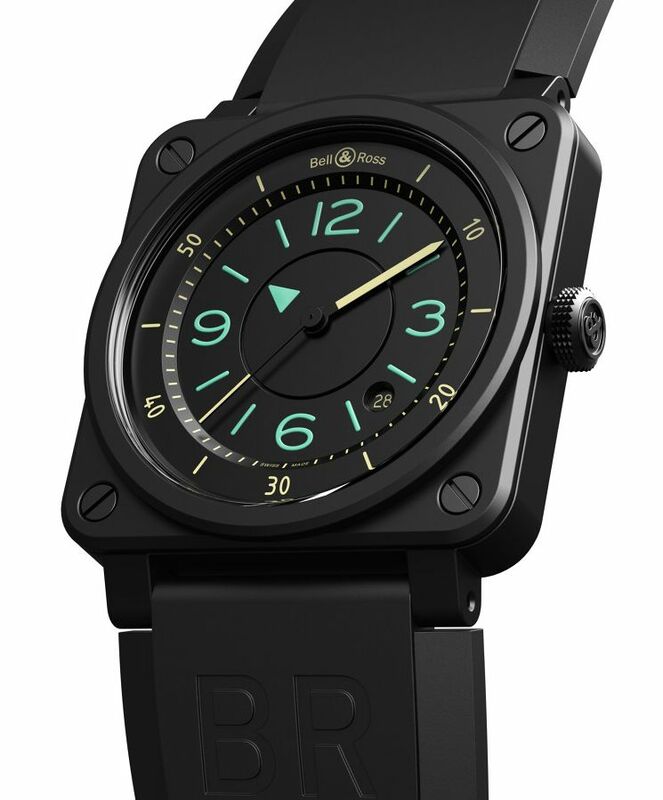 It comes on a black rubber strap with a steel black PVD buckle and an ultra-resilient black synthetic fabric. The price is reasonable for Lim. Ed. Really like the dial colors and easily readable contrast. love the hour disc. but wish the case was thicker. i find it too thin for a tool watch. Thanks. Very visible and not too expensive! Lovely dial color, nice post. Beautiful dial right there, really cool.